After practicing labor and employment law for almost 30 years, Bob easily anticipates problems and strategizes solutions for clients as they navigate the complex area of human resources. As managing partner of the firm’s St. Louis office and a former member of the Executive Board, Bob has spent more than 20 years in senior law firm management positions, providing him a unique perspective that carries over to his clients. He has a great deal of empathy for clients because he has experienced many of the same challenges and opportunities that he helps them address. As the son of a union shop steward, Bob’s interest in labor and employment was instilled early in life. He enjoys employment law generally because it is so personal and relatable – rooted in the human dynamics of the workplace. 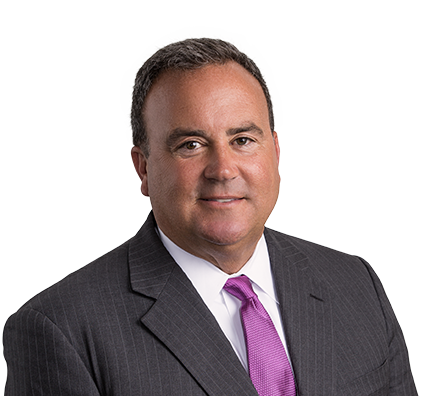 Bob has served as first chair in numerous federal and state court trials involving the Employee Retirement Income Security Act (ERISA) and employment discrimination, and he has obtained summary judgment for defendants in more than 50 employment discrimination lawsuits. He has defended appeals of favorable employment decisions before the Seventh, Eighth and Tenth U.S. Circuit Courts of Appeal, as well as the U.S. Supreme Court. Represented large financial services institution in employment litigation originally slated for litigation in Missouri state court in St. Louis County, a plaintiff-friendly venue; compelled plaintiff to arbitration, a significantly better venue for defending client's interests. Defended nursing home management company from Fair Labor Standards Act (FLSA) lawsuit where the plaintiffs alleged they missed meal breaks that had been automatically deducted from their pay. Counseled nursing home management company in public policy wrongful discharge lawsuit where plaintiff alleged he was discharged for reporting regulatory violations. Defended nursing home management company in noncompete dispute where another healthcare institution attempted to prevent manager from becoming employed by firm's client. Representing large health system in 30-person wage and hour claim in Missouri state court. October 2016: What's New in Labor and Employment Law? Bob loves to have fun. You can also find him cruising around town in his 15-year-old red PT Cruiser convertible. While he always wanted to own a convertible, Bob says he was too frugal to buy “a real one.” He calls his PT Cruiser a compromise. As an adjunct professor at Webster University in St. Louis, Bob has been teaching “Legal Aspects of Human Resources Management” since 1997. Bob regularly advises employers in grievance arbitrations and actions before the National Labor Relations Board (NLRB) in matters alleging discrimination and unfair labor practice. He understands the collective bargaining landscape and works with clients to avoid or manage relationships with unions, as well as drafts and negotiates collective bargaining agreements. He also regularly advises employers on wage and hour compliance and plant-closing laws.